Cheese lovers, rejoice! There's a new expert in town, and it's the folks at Cheese+Provisions. Their shop is a wonderland of artisanal goodness--cheese (duh), charcuterie, wine, local honey, artisanal salts, olive oils, vinegars, jams, chocolate, and lots more. The owners, Steve and Kim, are true professionals with tons of experience in the world of cheese. They offer a variety of classes and events (check their website!) on cheese tasting and pairing. On top of that, they're so kind and make you want to sit down and stay awhile. The cool thing about shopping here is by supporting one small business, you're supporting lots of small businesses across the state and country. 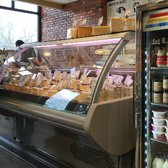 The products at Cheese+Provisions are sourced from small farms and artisans, each one picked for its distinct quality and flavor. Ask about any product in the shop and they can tell you all about it--where it's from, how it's made, and how to eat it. 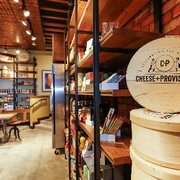 Whether you're looking for a place to get schooled in cheese, shopping for gifts for your foodie friends, or getting ready to entertain, Cheese+Provisions is a no brainer!! It's hard to go wrong with cheese and wine. This place is a great addition to the neighborhood; perfect for stopping in your way to a dinner party, or just a Saturday afternoon (if you are a cheese lover, which, let's be clear, you should be). A really thorough selection and a patient staff. They also have shelves and shelves of fun little sauces and chutneys, and at really competitive pricing. I will absolutely be doing some holiday shopping here. My only sadness is that I discovered them at the end of picnic weather rather than the beginning - I'll be here every Sunday next year en route to Jazz in The Park. Oh hello, favorite shop ever. This is my heaven. An incredible assortment of beautiful cheeses and meats and every ingredient you could ever need for a charcuterie board. Olives, mustard, jams, nuts, dried fruit, crackers of every kind, baguettes, wine, pickles, craft sofas... perfect picnic ingredients and most of them locally sourced. Try the candied bacon popcorn, it's seriously incredible. Salty and sweet and smoky. The spicy Thai peanut butter is so rich and velvety and perfect. My favorite thing might be the jalapeño jam which has a slow building heat and a really nice sweetness. It tastes amazing with anything. Of course the cheese is the star of the show here. They have a gorgeous selection, and Kate the cheesemonger knows what she's talking about and is so relatable and knowledgable. You just wanna be her friend. The whole shop makes you feel comfortable and welcomed. Owners Kim and Steve are so down to earth and funny and warm. You can tell they love what they do and it shows in the quality of their products and service. Make sure to stop in for a cheese plate and a glass (or bottle) of wine. They'll make you a phenomenal board and it's really affordable for the amount of cheese and meat you get! Oh, coppa is my forever favorite and theirs is so wonderful! 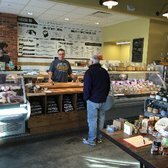 Wonderful selection of meats and cheeses, and other delicious provisions to make any occasion great, or just for daily deliciousness at home. They also have great classes/pairings that can make for a great date night. Owners are incredibly helpful. 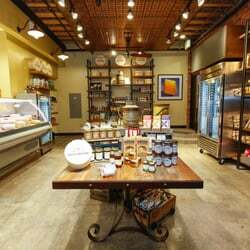 Make this your destination cheese shop! I really love this cheese shop. Yes, it's a bit pricey but worth it for good food, service and a lesson in cheese. For the serious cheese enthusiasts! I wandered in after eating at Bacon Social House and was bascially in awe at the variety of cheese they had and everything else related to cheese. They had wine, bread, fruit jams, cheese cutting knives and boards, and just everything in between. I bought the blueberry fruit jam which says it's great with cheddar. And they weren't wrong. It was absolutely delicious paired with aged cheddar and a nice thin cracker. We definitely made good use of it at our girls wine night. They even have classes here that teach you about what wine goes well with what cheese. It costs ~$50 from what I can remember but seems like a good date night idea or mother/daughter bonding time. This place is the cutest, seriously. This is a great neighborhood shop! I was really surprised with the amount of options in this little location. I also found their wine prices very reasonable, and very tastey. The selection of local dry goods is fabulous, I'll definitely be buying my Christmas gifts here to give everyone back east a taste of Colorado. 16DEC2015 Visited after the big snow storm and bought WINE, cheeses, meats, crackers. Dinner! The samples were delicious. Dinner was great. Every item was from this wonderful store. Wine - Terres Dorées Beaujolais Blanc for $20 (only $1 more than Argonaut) was crisp and not oaky. Porchetta Rosemary - melt in your mouth ham Duck Rillette - Duck, Duck Fat. Melty in your mouthy.What more do you want? Nancy's Camembert - this is right up there with Nomandie Camembert. Wow! Salumi Jesu - spicy. A tad too salty. Crackers Mustard - Maile 10DEC2015 I got to visit early. Before the Grand Opening. Cheeses! Lots of cheeses. So excited to start buying cheese here. The owners were very welcoming and I look forward to picking their brains about cheeses. So happy there's a place near my office to grab a delicious sandwich for lunch. He makes 2 different types a day and they're available until they sell out. IIRC, today I picked the goat cheese, hatch green chili jam, portobello mushroom tapenade, and prosciutto sandwich. The bread is a perfect combo of crusty outside and soft inside. The cheese was creamy tangy goodness. Delicious! Have been looking forward to checking out the new Cheese+Provisions, and we were not disappointed. Came for lunch and enjoyed 2 different sandwiches-delish! Fresh bread and the most wonderful meat and cheeses! Got a nice white wine that was suggested and it was perfect. Next time we return we will try a meat and cheese tray. Staff was very helpful and knowledgable. Friendly too. The shop has nice ambience to it. Nice selection of gourmet food items-even a big selection of local products. I picked up some Italian pasta and a spread. Good selection of wine by the bottle or glass, amazing cases full of cheeses and meats. They will let you sample too to assist with your selection. Decent prices for such wonderful products. Can't wait to return! Just a wonderful place! Always inviting and truly a positive addition to our Sunnyside neighborhood. Keep on slinging the cheese, charcuterie and wine y'all! I'm not a cheese expert in any sense, but I'm a cheese fan in every sense so it was WONDERFUL to have a knowledgeable employee to help me pick out some cheeses for a picnic I was having later that day. He even thought to ask whether refrigeration was going to be available. I left with three incredibly delicious cheeses, some sausage slices that went well with all three selections and a really good first impression of Cheese+Provisions. I'm so happy to have this place in my neighborhood and already excited to make a return visit. Holy cow! Seriously!!! This place is the bomb!! Kim and Steve are so knowledgeable and the wine and cheese pairing last night was delish! Both my husband and I were super impressed! I wish we had a place like this in our neighborhood!! We will be back again and again and again!! I came here & got some bottle of hibiscus tea flavoring that can be added to cocktails. The bottle was around $10 & I used it all that night. It's not concentrated enough to be used in small amounts so the bottle didn't last me too long. I also tried some blueberry jam to pair with a cheeseboard I made at home. The jam was perfect & not too sweet. This shop offers lot of other options outside of cheese. This includes: MEATS (all types of Spanish cured hams!!!) wine, jams, chips, cocktail mixers, and snacks. You can buy stuff and bring it home or you can dine inside this place and try a cheese board. Yes, things can get pricey in here but I think you get great quality stuff so I cannot complain. Store was closed today due to illness. Turns out the owners have a flu despite vaccinating, which happens. I'm impressed that they chose to close the store for the day instead of endangering public health by passing infectious diseases to their customers. This is what "putting people before profit" means. You know those places where everything is carefully selected so that you know anything you choose is top quality? We are so lucky to have Cheese + Provisions in our neighborhood. We just stopped in on our way to a wine and cheese party and so appreciated the guidance of the guy behind the counter. (He even write notes for us do we can sound like we know what we're talking about.) everything we tasted was divine and only whetted our appetite, so we brought a sandwich home too. The blend of flavors on the sandwich was wonderful! Wish I could tell you what any of it was, but the cheese was especially tasty and nutty. 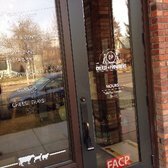 Definitely recommend a stop on here- either to shop or for a pairing class or for a sandwich and wine! I live right behind this shop and it is such a wonderful addition to the neighborhood though my waistline might disagree. The cheese is great and it has some good affordable wines as well. Prices are not cheap, but the quality is really high. 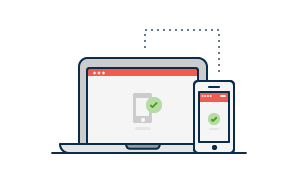 Yelp users haven’t asked any questions yet about Cheese+Provisions. Start your review of Cheese+Provisions. Cheese lovers, rejoice! 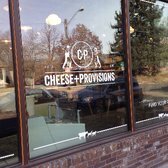 There's a new expert in town, and it's the folks at Cheese+Provisions. 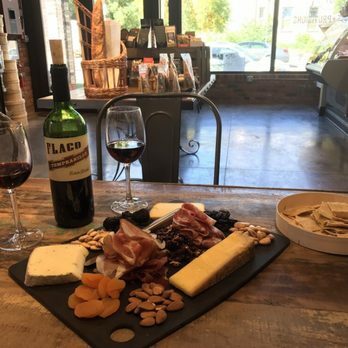 Their shop is a wonderland of artisanal goodness--cheese (duh), charcuterie, wine, local honey, artisanal salts, olive oils, vinegars, jams, chocolate, and lots more. The owners, Steve and Kim, are true professionals with tons of experience in the world of cheese. They offer a variety of classes and events (check their website!) on cheese tasting and pairing. On top of that, they're so kind and make you want to sit down and stay awhile. The cool thing about shopping here is by supporting one small business, you're supporting lots of small businesses across the state and country. 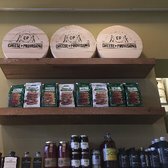 The products at Cheese+Provisions are sourced from small farms and artisans, each one picked for its distinct quality and flavor. Ask about any product in the shop and they can tell you all about it--where it's from, how it's made, and how to eat it. Whether you're looking for a place to get schooled in cheese, shopping for gifts for your foodie friends, or getting ready to entertain, Cheese+Provisions is a no brainer!! It's hard to go wrong with cheese and wine. This place is a great addition to the neighborhood; perfect for stopping in your way to a dinner party, or just a Saturday afternoon (if you are a cheese lover, which, let's be clear, you should be). A really thorough selection and a patient staff. They also have shelves and shelves of fun little sauces and chutneys, and at really competitive pricing. I will absolutely be doing some holiday shopping here. My only sadness is that I discovered them at the end of picnic weather rather than the beginning - I'll be here every Sunday next year en route to Jazz in The Park. Oh hello, favorite shop ever. This is my heaven. An incredible assortment of beautiful cheeses and meats and every ingredient you could ever need for a charcuterie board. Olives, mustard, jams, nuts, dried fruit, crackers of every kind, baguettes, wine, pickles, craft sofas... perfect picnic ingredients and most of them locally sourced. Try the candied bacon popcorn, it's seriously incredible. Salty and sweet and smoky. The spicy Thai peanut butter is so rich and velvety and perfect. My favorite thing might be the jalapeño jam which has a slow building heat and a really nice sweetness. It tastes amazing with anything. Of course the cheese is the star of the show here. They have a gorgeous selection, and Kate the cheesemonger knows what she's talking about and is so relatable and knowledgable. You just wanna be her friend. The whole shop makes you feel comfortable and welcomed. Owners Kim and Steve are so down to earth and funny and warm. You can tell they love what they do and it shows in the quality of their products and service. Make sure to stop in for a cheese plate and a glass (or bottle) of wine. They'll make you a phenomenal board and it's really affordable for the amount of cheese and meat you get! Oh, coppa is my forever favorite and theirs is so wonderful! Stay for wine and cheese! You're nuts if you don't! For the serious cheese enthusiasts! I wandered in after eating at Bacon Social House and was bascially in awe at the variety of cheese they had and everything else related to cheese. They had wine, bread, fruit jams, cheese cutting knives and boards, and just everything in between. I bought the blueberry fruit jam which says it's great with cheddar. And they weren't wrong. It was absolutely delicious paired with aged cheddar and a nice thin cracker. We definitely made good use of it at our girls wine night. They even have classes here that teach you about what wine goes well with what cheese. It costs ~$50 from what I can remember but seems like a good date night idea or mother/daughter bonding time. This place is the cutest, seriously. She'd and fruit tray 5 dollar each and you have to pay for the cheese and meat separately. Cheese! Cheese! and more Cheese! Wine! Wine! and more Wine! Pasta! Pasta! and more Pasta! Charcuterie! Charcuterie! and more Charcuterie! We found this little gem of a store, after going to the Bacon restaurant right next door for breakfast. C + P - What a find! Of course, you walk in, say hello, and start looking at all the wonderful items on the walls/bookshelves around the little shop. It's enticing, inviting, and just, well, Awesome! I knew that wine and cheese go together, and taste scrumptious, but these people do it right! They know their stuff! a. C+P Cheese of the Month Club - which the husband and I are definitely going to check oout. b. 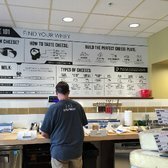 Cheese 101 - an upcoming class, which sounds really great! c. Eat. Drink. Learn, Make Friends! - also about 4 of their upcoming classes. The owners/manager/employee do not get in your face. They are there to answer your questions, and gently guide you in the right direction. They have a great little shop, and are the right people to help you out, no matter the occasion. Give them a try, won't you!? Visited after the big snow storm and bought WINE, cheeses, meats, crackers. Dinner was great. Every item was from this wonderful store. Wine - Terres Dorées Beaujolais Blanc for $20 (only $1 more than Argonaut) was crisp and not oaky. Duck Rillette - Duck, Duck Fat. Melty in your mouthy.What more do you want? Nancy's Camembert - this is right up there with Nomandie Camembert. Wow! Salumi Jesu - spicy. A tad too salty. I got to visit early. Before the Grand Opening. So excited to start buying cheese here. The owners were very welcoming and I look forward to picking their brains about cheeses. Have been looking forward to checking out the new Cheese+Provisions, and we were not disappointed. Came for lunch and enjoyed 2 different sandwiches-delish! Fresh bread and the most wonderful meat and cheeses! Got a nice white wine that was suggested and it was perfect. Next time we return we will try a meat and cheese tray. Staff was very helpful and knowledgable. Friendly too. The shop has nice ambience to it. 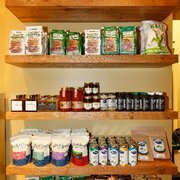 Nice selection of gourmet food items-even a big selection of local products. I picked up some Italian pasta and a spread. Good selection of wine by the bottle or glass, amazing cases full of cheeses and meats. They will let you sample too to assist with your selection. Decent prices for such wonderful products. Our delish lunch! Great selection of wines to pair with your cheese or sandwiches. Airy interior with lots of gourmet food items. Look at all of that cheese! Ask for a sample. I'm giving Cheese+Provisions the highest rating not because they sell a beautiful selection of cheeses - locally as well as from Italy, France and Spain - and meats (which they do), not because the store is beautiful and well laid out (which it is), not because they will be selling fresh baguettes (which they will) along with jams, salsas etc., (they have these too). I'm giving them five stars because they offer all of these things and are so damn friendly. I know that this sounds like an over-generalization but my only nit with "some" specialty cheese/meat shops is that the purveyors are so often snobbish. I will not name names but suffice to say, specialty cheese shops and snootiness often go hand-in-hand. Steve, Kim and Matt (all three helped us) were as friendly and helpful as good be. They even have bacon-flavored caramel corn - sounds kinda weird, but it's seriously delicious. You know those places where everything is carefully selected so that you know anything you choose is top quality? We are so lucky to have Cheese + Provisions in our neighborhood. We just stopped in on our way to a wine and cheese party and so appreciated the guidance of the guy behind the counter. (He even write notes for us do we can sound like we know what we're talking about.) 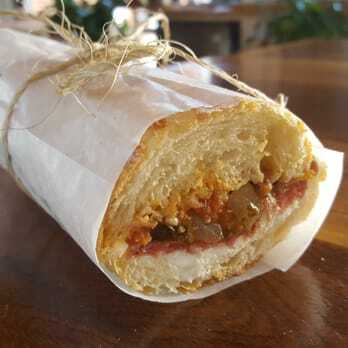 everything we tasted was divine and only whetted our appetite, so we brought a sandwich home too. The blend of flavors on the sandwich was wonderful! Wish I could tell you what any of it was, but the cheese was especially tasty and nutty. 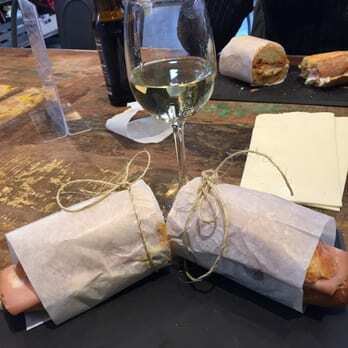 Definitely recommend a stop on here- either to shop or for a pairing class or for a sandwich and wine! I live right behind this shop and it is such a wonderful addition to the neighborhood though my waistline might disagree. The cheese is great and it has some good affordable wines as well. Prices are not cheap, but the quality is really high. Cheese+Provisions is a small cheese, charcuterie and specialty food market in Denver's burgeoning Sunnyside neighborhood. Our founder, Steve Duty, is a former cheesemaker/winemaker/ professionally trained chef who uses his love of food and a lifetime of tasting to hand-curate our selections. We have cheeses from near and far, but we specialize in hard-to-find American farmstead cheeses. 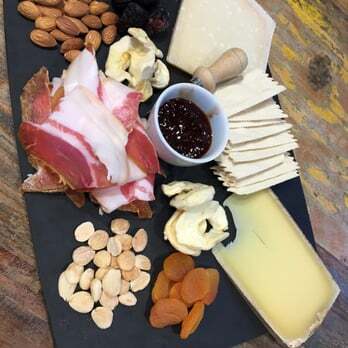 We also carry a collection of carefully selected cured meats and other artisan dry goods, including jams, crackers, vinegars, olive oils, pastas and more. 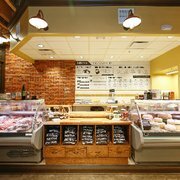 In addition to our retail counter, we offer chef-inspired grab and go sandwiches as well as events and cheese tasting classes to help further your exposure to the wonderful world of cheese. We know cheese (and specialty food) can be intimidating--so many choices, so many hard to pronounce names. But we work hard to make it fun. No cheese/food snobbery here! Ever! We happily share what we know, and we encourage you to taste as many as you would like before making your choices. And then we hand-cut and wrap each order so you get exactly what, and how much, you want. Food should be fun. We love it, and we love sharing it and exploring it with our guests. 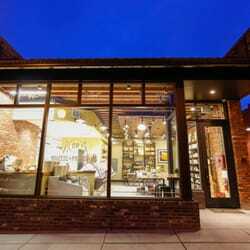 Whether you are a veteran cheese connoisseur or a budding foodie, you'll find something to love at Cheese+Provisions. 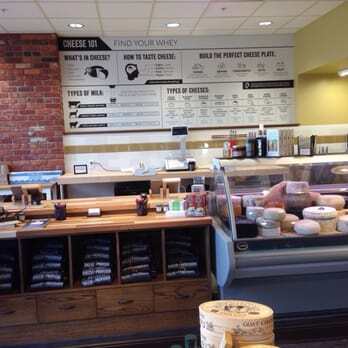 Cheese+Provisions is the result of 35-years in the food and beverage industry. Our founder is a former CIA-trained chef, award-winning winemaker and former cheesemaker. Cheese has always been a special passion, though. When he was running a winery, he created Virginia's first artisan cheese program to pair his wines with some of VA's great farmstead cheeses. Later, he and his wife Kim spent several years in the Blue Ridge Mountains building and running a sheep farm/dairy. And while he enjoyed being on the artisan side of the business, his innate explorer makes him a better curator than producer. 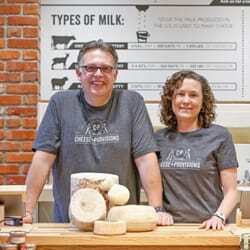 Steve and Kim moved to Denver in 2008 with the dream of opening a cheese shop. The recession put that on hold, and Steve went back to school to get his MBA from Johnson & Wales. They finally got a chance to realize their dream in 2015, after two years of planning and visiting cheese shops around the country. 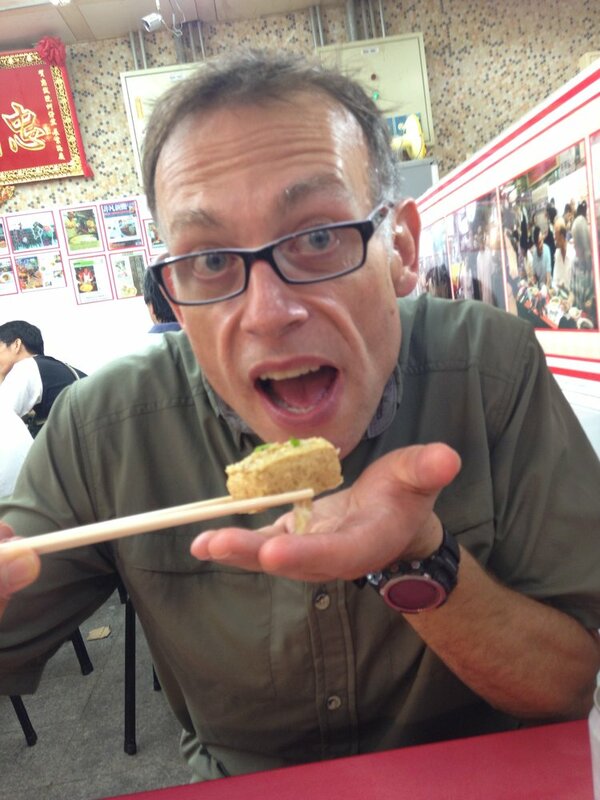 Our founder, Steve Duty, is passionate foodie and is a 35-year veteran of the food and beverage industry. He is a trained chef with a degree from the prestigious Culinary Institute of America and an MBA in Hospitality from Johnson & Wales. He spent several formative years living in Europe, exploring the continent through its cuisine. He is also an award-winning winemaker, and for a time owned and operated a sheep farm/dairy with the goal of making cheese. He's done extensive training in cheesemaking and has close ties to a number of small-scale artisan cheesemakers across the U.S.
What sets us apart is that we've lived the artisan food producer's life and know first-hand what it takes to make farmstead cheese, oh and to build a farm from scratch. That's why our shop is all about celebrating the artisans. The owner of Mondo Vino and Hugh will interact to make sure you get the best selection of wine and cheese. This shop also offers cheese accompaniments such as various spreads, crackers, meats, wine, etc. They even offer cheese making classes as well as cheese tasting! Great breakfast burritos, also love their tortas and their guac.